Recycling? The question I’m posing today is whether giving scraps to a cat could be considered as “recycling”. 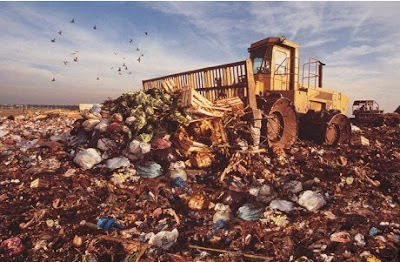 Things for which we have no further use, and that can’t be re-used or recycled, are thrown away. But, in fact, there is no “away”. When living in Brighton (England) I did some voluntary work for The Brighton & Hove Wood Recycling Project where I had the opportunity to go behind the gates at a landfill site. It was a dystopian scene, like something out of the film Mad Max, with huge tractors rolling on huge steel-studded wheels crushing and spreading a fetid mass of detritus, with the apparent aim of squashing as much stuff in before that landfill is declared full and is sealed up. Great … if you’re a seagull or a rat. Gabrielle and I try our best with recycling, the local authorities taking plastics as well as the more generally accepted glass, cans, cardboard and paper. And and we have, of course, a compost bin but, for some time, Gabrielle has been suggesting that we do an audit of the stuff that makes it to the black bin liner, the stuff we throw “away”, with the aim of reducing it. 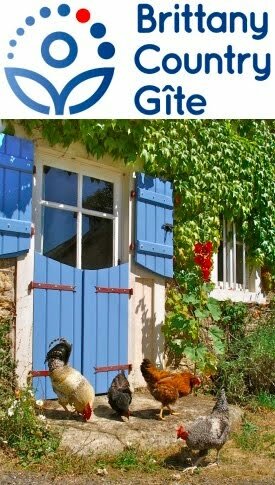 Because we have the privilege of having more space on our smallholding than either of us were used to living in town in the UK, we can absorb more waste on our own land: I’m thinking of inert stuff like concrete or roofing tiles (see my blog of 7th February 2007). And we think we might have discovered another local waste recycling facility. Last Monday, we slaughtered and processed four chickens and three rabbits. Gabrielle is preserving the rabbit skins by freezing (!) until she’s ready to have her first go at tanning them. Apart from the meat, we eat the offal and make stock from the carcass, but there are some bits that just have to be thrown “away”. Stuff encased in black plastic bags and then buried, doesn’t get a chance to decompose aerobically, with the help of creepy-crawly decomposers, and just putrefies, when it gives off methane, an even more damaging greenhouse gas than CO2. 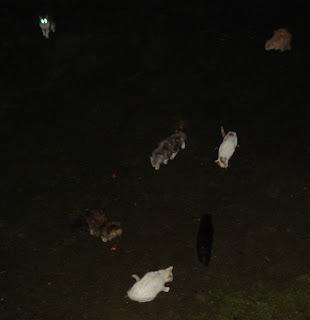 Our close neighbour, the venerable Annick, has a clowder of around thirty cats (check that out for a collective noun!) and we often see them around our place. You can see where I’m going with this: we give the scraps to the glaring of cats (cats are well served with collective nouns) who hoover them up cleanly yet leave the unsavoury by-product of cat poo. At least this gets washed way by the rain, if it doesn’t get trodden on first. 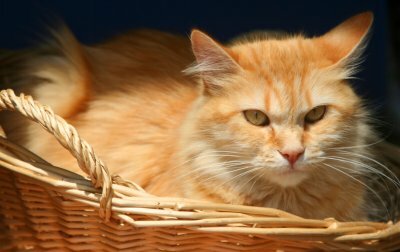 If you have any other good uses for cat poo, please post a comment! 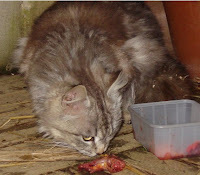 We feed the meat scraps to the chickens, unless it is chicken, then they are fed to the cats. We intend to add the cat poo from the litter box to the composting toilet, and then to the compost pile. However, for the cats living outside (at least three regular visitors), it is the raised beds, with soft soil mulched with wood shavings that play the role of a litter box. I hope to find the right mulch that will deter them from spreading toxoplasmosis right in the lettuce patch.